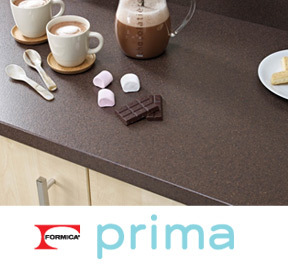 Laminate worktops are the most affordable worktop surface you can have in your kitchen. 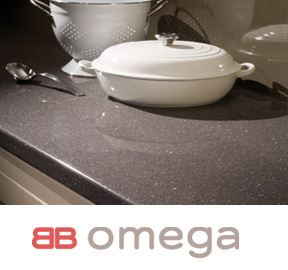 They are a great alternative for granite, quartz, wood & acrylic worktops. Laminate worktops are made out of chipboard, with thin layer of HPL (High Pressure Laminate) on top. We can supply laminate worktops in over 500 designs and a variety of textures. 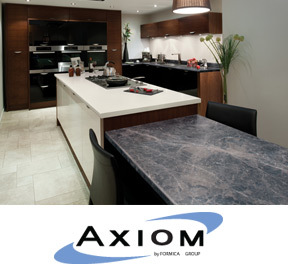 We supply Axiom, Duropal, Prima, Omega & Oasis worktops to customers throughout UK. Click on the images below to view all the available styles and designs. Different Laminate Worktop Textures – Crystal, Gloss, Etchings, Matte 58…. 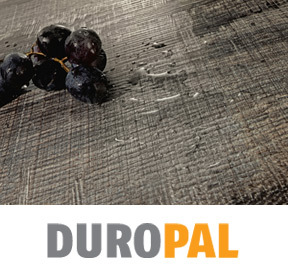 Different laminate worktop textures offer different levels of performance. High gloss textures are more sensitive and prone to scratching whereas traditional crystal type of textures offer enhanced performance. In an average size kitchen, the worktop surface is typically 6.8 linear meters. The cost of supply and installing a laminate worktop surface would be £660 including VAT. The typical size of supplied laminate worktop is 4.1m x 0.6m. This type of worktop is edges on one size. Laminate worktops are also available in 0.65m, 0.90 width. Laminate worktops are predominantly 38mm thick.